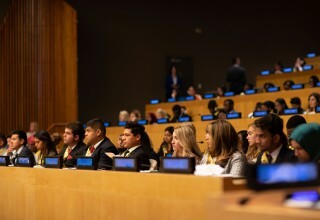 Youth representing more than 60 nations gathered at the United Nations in New York to celebrate the 15th annual Human Rights Summit of Youth for Human Rights International in the 70th anniversary year of the Universal Declaration of Human Rights. 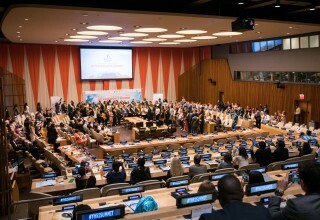 NEW YORK, July 6, 2018	(Newswire.com) - As more than a 100 young men and women filed into the iconic Economic and Social Council Chamber at the United Nations in New York July 5 for the Human Rights Summit of Youth for Human Rights International, dignitaries and guests welcomed them with a standing ovation. Through their commitment to raising awareness and understanding of the Universal Declaration of Human Rights, they represent the hope for a humane and peaceful future. Sadly, seven decades on, human rights abuse is rife in many areas of the globe, but the youths at the summit were selected to represent their countries on the basis of their own human rights accomplishments toward making human rights a fact. 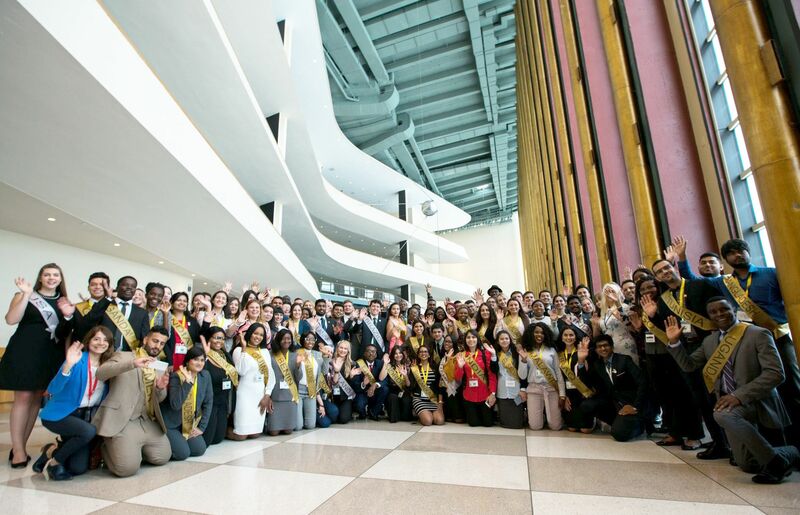 They were welcomed by the summit’s sponsor the Permanent Mission to the United Nations of Costa Rica and its co-sponsors the Permanent Missions to the UN of Cyprus, Australia, Morocco and Romania. Adopted by the UN General Assembly 70 years ago, the Universal Declaration of Human Rights (UDHR) defined for the first time the 30 fundamental rights to which all men, women and children are entitled by their very existence. The preamble to the document asserts the importance of education in bringing about a civilization in which every person is treated with respect and where they may accomplish their own potential in a world at peace. Perhaps nowhere was this better illustrated than by the presentation of the keynote speaker of the first day of the summit: Brigadier General Alberto Sepúlveda, Commander of the Seventh Division, National Army of Colombia. General Sepúlveda spoke of the way his country has redefined what it means to serve in the military. They have provided education to all soldiers on the Universal Declaration of Human Rights through the educational materials of United for Human Rights and its program for young people Youth for Human Rights International. He presented a slideshow showing the work of the Colombian armed forces to ensure the rights of all through their service in times of disaster and their human rights education initiative. His speech was included in the UN’s broadcast of the first day of the event. David Kritsun and Youth for Human Rights of Israel for uniting diverse ethnic and religious communities in ancient conflict zones. Through their work, they have extended human rights education across 23 regions of Tel Aviv and to nearly 100,000 in Jerusalem, thus building a foundation for peace and common understanding. Mr. Nfamara Jawneh, founder and executive director of Beekanyang Kafo, a human rights NGO. For 22 years under a dictatorship in the Gambia, he was a leading voice and major force to bring change through his broad human rights awareness and democracy campaign. His grassroots activities reached more than 20,000, directly teaching them human rights. He collaborates with the new democratic national government and non-governmental agencies to build a framework for human rights education. Despite constant risk and active threat from the Islamic State, Mr. Issa Sufyan Hussein has trained more than 1,000 intelligence, security and police personnel in Kurdistan on human rights. He was one of the first to use and implement the United and Youth for Human Rights curriculum in Kurdish and now trains other educators to carry his activities forward. 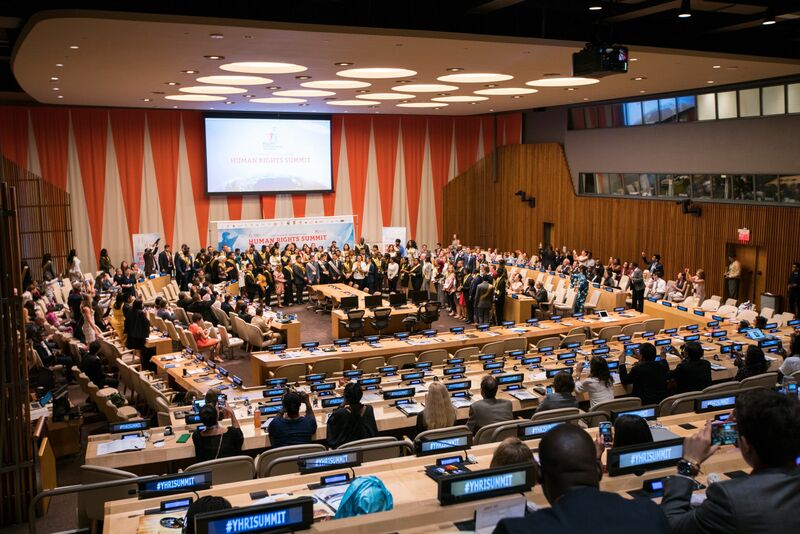 One of the highlights of the event was the presentation July 6 by the keynote speaker of the summit’s second day at the UN His Excellency Luis Almagro, Secretary-General, Organization of American States, and former Foreign Minister of Uruguay. An exemplary diplomat, he is an outspoken proponent for the rights of the people of Latin America. 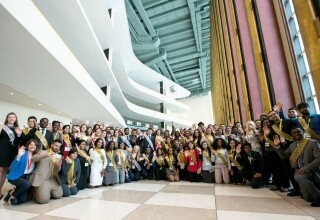 The final day of the three-day program is a multi-cultural human rights celebration hosted by the Church of Scientology Harlem Community Center. It begins with a workshop for the youth delegates followed by community outreach to introduce people to their rights. Youth for Human Rights International (YHRI) is the youth component of United for Human Rights (UHR). It is a global nonprofit organization founded in 2001 with the purpose to teach youth about human rights, specifically the United Nations Universal Declaration of Human Rights, and inspire them to become advocates for tolerance and peace. UHR has now grown into a global movement with over 150 chapters and its educational materials, translated into 27 languages, bring the message of human rights to 195 nations. The Youth for Human Rights public service announcements and The Story of Human Rights educational film air on several hundred television stations in dozens of countries each year. To date, more than 1.4 million students have been empowered with human rights education through the Youth for Human Rights curriculum. Further, partnerships to foster human rights have been forged with nearly 1,500 organizations and government agencies in 92 countries. Through these partnerships, human rights organizations and government bodies have been supported in their mission to improve the well-being of local, regional and national populations. 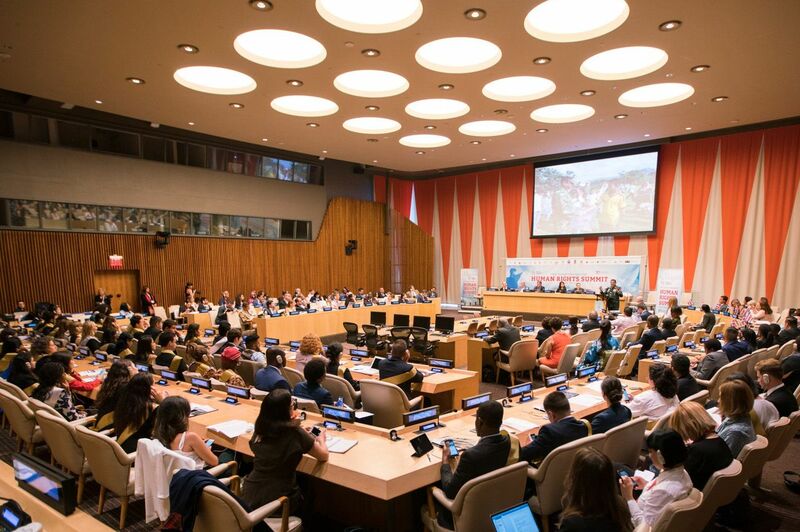 All told, thousands of organizations and governments have joined forces with Youth for Human Rights, helping to educate tens of millions around the world. The Church of Scientology and Scientologists support United for Human Rights and make their educational materials available free of charge. For more information, visit the Scientology website or Scientology.tv.